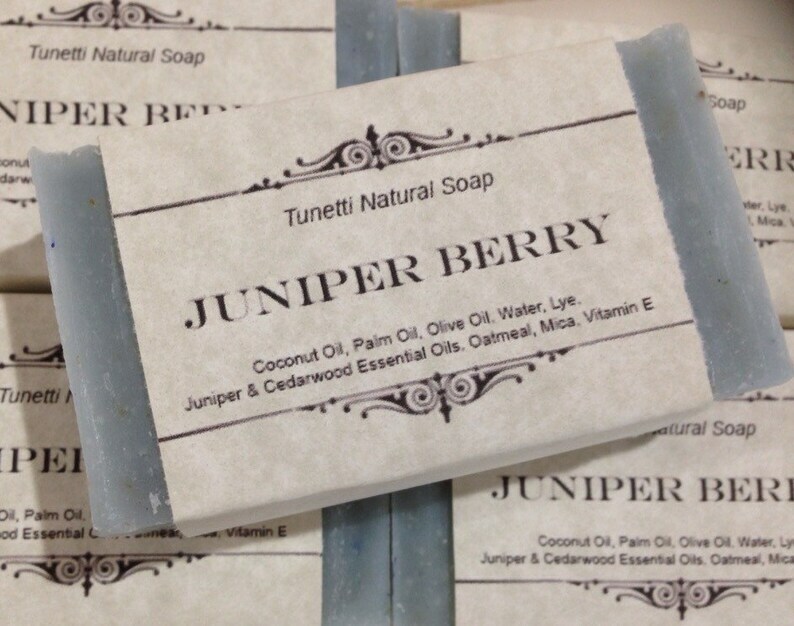 Juniper (Juniperus communis) is a coniferous evergreen shrub that belongs to the pine family (Cupressaceae), and is commonly found on heaths and mountains in North America, Europe, and Southwest Asia. In the United States, junipers grow abundantly in the mountainous regions of the Appalachians, as well as in western states such as Arizona, California, New Mexico, and Utah. Each bar weighs approximately 3.75 ounces. Individual bars will vary in size and color. Love This Great scent Thank You.